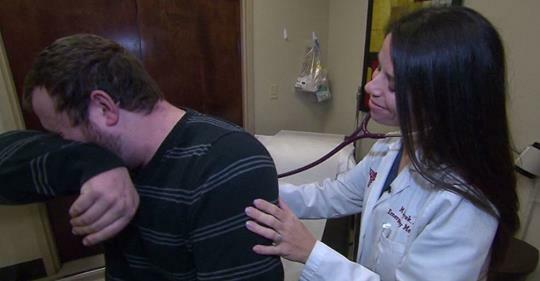 Even though it is the time of the flu and seasonal colds, medical professionals warn about another virus going around. The most common symptom of this winter virus is a persistent cough, but there have also been numerous reports of illnesses, including gastrointestinal issues and respiratory infections. This cough leads to symptoms that can range from just a day in bed to a visit to the emergency room. Yet, the biggest problem is that the symptoms of this virus last too long, and the cough it causes just won’t stop. Illnesses that last longer than a week are considered bacterial in nature, and bacterial infections are treated with IV fluid to rehydrate the body and medications. On the other hand, there is no treatment for this upper respiratory illness since it is a virus. You need to seek medical treatment if the symptoms become severe. Sleep with extra pillows: When it comes to a night-time cough, gravity is the enemy. All the mucus you would normally swallow during the day flows back and irritates your throat as you lie down. Keep the air inside your home irritant-free: Air fresheners and scented candles may seem harmless, but for some people, they can cause sinus irritation which produces extra mucus that leads to even more coughing. The worst irritant in the air is smoke, so avoid cigarettes and any areas where there are smokers. Stay inside in the warm as much as possible: Cold air can exacerbate a cough. So if you have a cold or other respiratory infection avoid being outside for too long. Why Are People With Blood Type O So Special?